We just wrapped up an awesome 2-week vacation with the King Family. We’ve been travelling with these guys before they all became “The King Family.” And before some of them became humans, technically. In 1998 we took a 1-week road trip with newly-dating Danna and Quintin. This now-famous (to us!) roadtrip is affectionately called the “White Trash” trip, where we hit as many waterparks as we could in a rented white Mazda. This trip is where we coined the term “howler monkey” when I get cranky and we learned about Danna’s extreme dislike of cold water. Fast forward 18 years, having experienced Danna and Quintin’s wedding in Greece where Dan and I were the only guests 16 years ago, then on to having 4 kids between us (2 of whom were born 20 hours apart and insist they will marry each other) and endless trips together. And this year was no different. The Kings came to Mexico. We love visitors and especially them. We did this exactly a year ago in Panama. The formula works like this: The Shermans go on an international adventure and find all sorts of things to do. They do them, preview them for the Kings, make notes for how to improve on the plan and tell the Kings when to show up. The Kings show up, follow the Shermans around doing all the fun things, a good time is had by all and then the Kings go home, sunburned and exhausted. This year was no exception! We did it all. 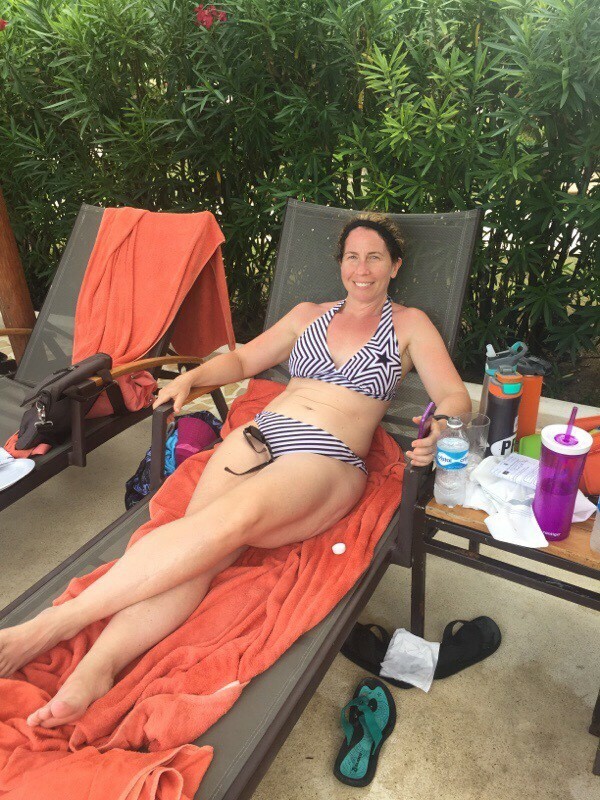 Cenotes, Playa del Carmen, the Hotel Zone in Cancun, a day pass at a nice resort, a beach day, Isla Mujeres, more cenotes, one or two down days, seeing ruins, a few Crossfit visits and so. many. sunburns. 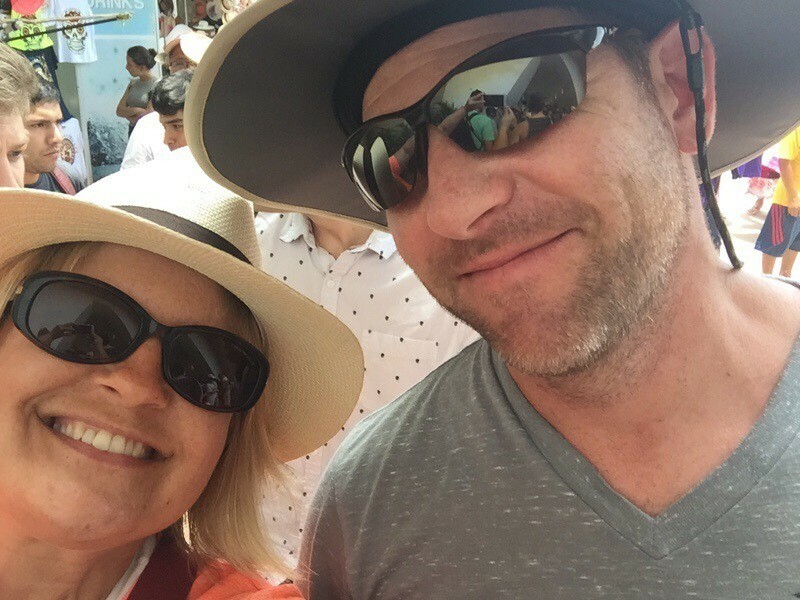 We can’t possibly tell you about it all and you would get tired of me trying to explain all the inside jokes, but I will share with you a few of the highlights. 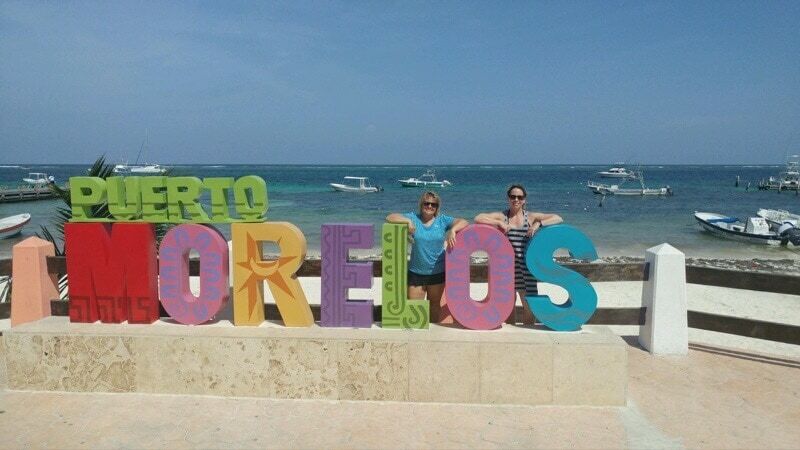 Danna and I cannot resist another colorful sign. We took the Kings to some of our favorites. One day we went to Cristalino, Jardin del Eden and Azul all in one afternoon. The kids loved jumping from the high platforms and Emily and Haley showed us how it was done. 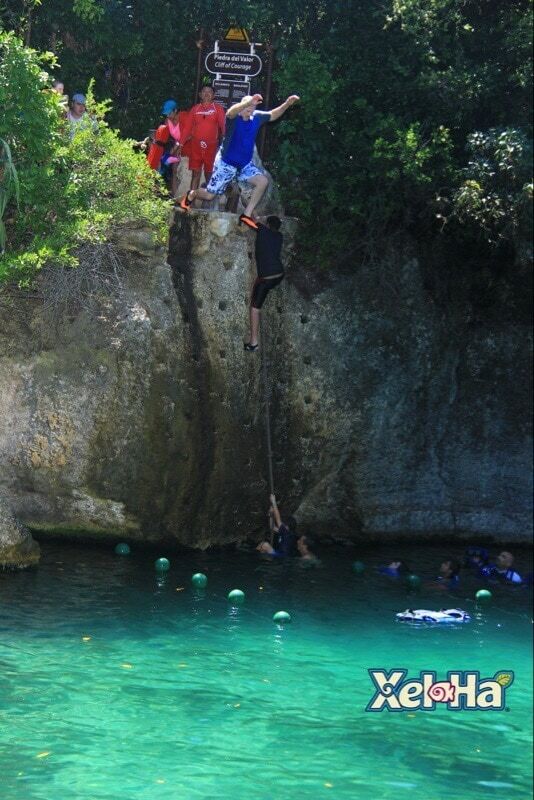 They were the most adventurous of the kids, usually jumping in to the cenote for the first time from the platform. Jared became my snorkeling buddy and we are all encouraging his parents to pursue a career for him in scuba instruction. I’m sure there’ll be a big market for a scuba instructor in Bend, Oregon. 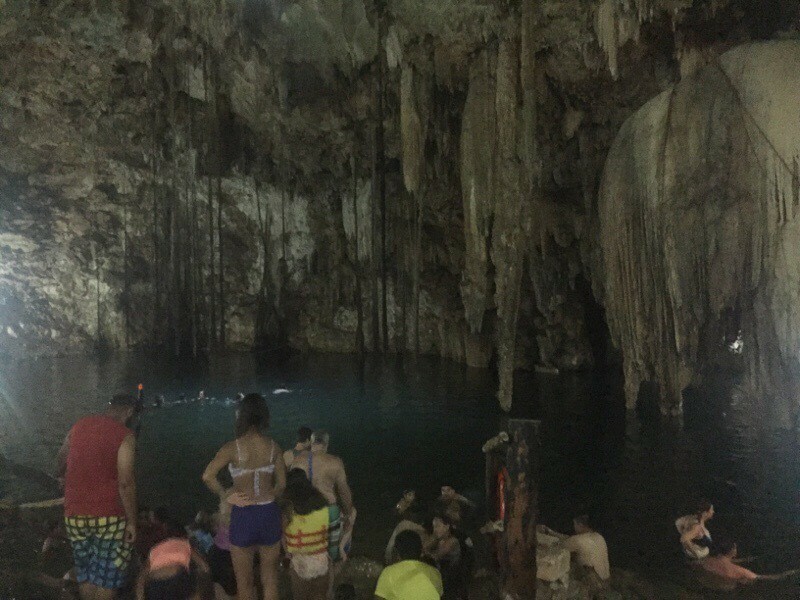 We checked out a new cenote after Chichen Itza one day. We were disappointed by the long walk from the parking lot, passing stall after stall of ladies selling the same thing. We weren’t really sure why they felt like people walking by in swimsuits and water shoes might be in the mood to stop and shop, but oh well. Those two cenotes were essentially giant caves. Danna opted out, because she purposely left her swimsuit in Cancun forgot her swim suit. It was the cold water, wasn’t it, Danna??? I’m on to you. This is not my first rodeo with you, little missy! 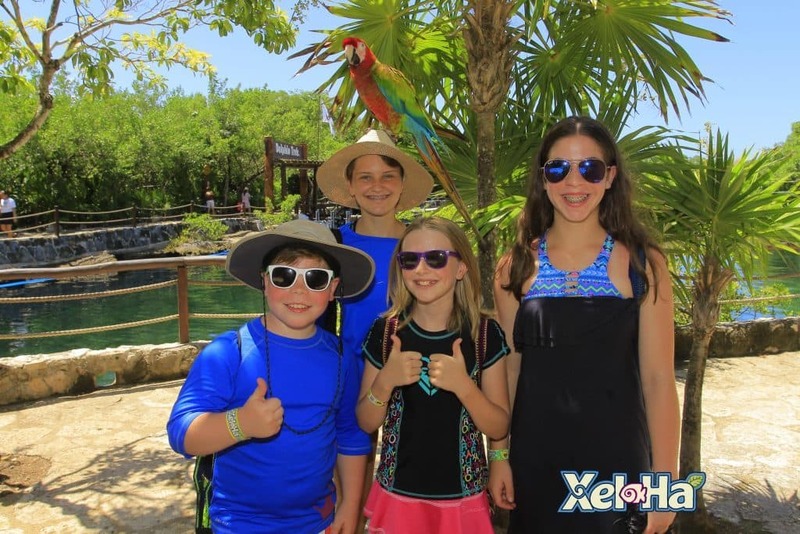 We also went to a giant cenote in the form of a big waterpark (think cenote meets Disneyland meets the movie Waterworld) called Xel Ha. It was an amazing day that needed 2 full days to really enjoy it all. Preferably with a day of rest in between. Note to selves: agree on a better meeting spot in the event we get separated. Another note to self: figure out how they made such good chicken wings with that lime seasoning. Yummy stuff! 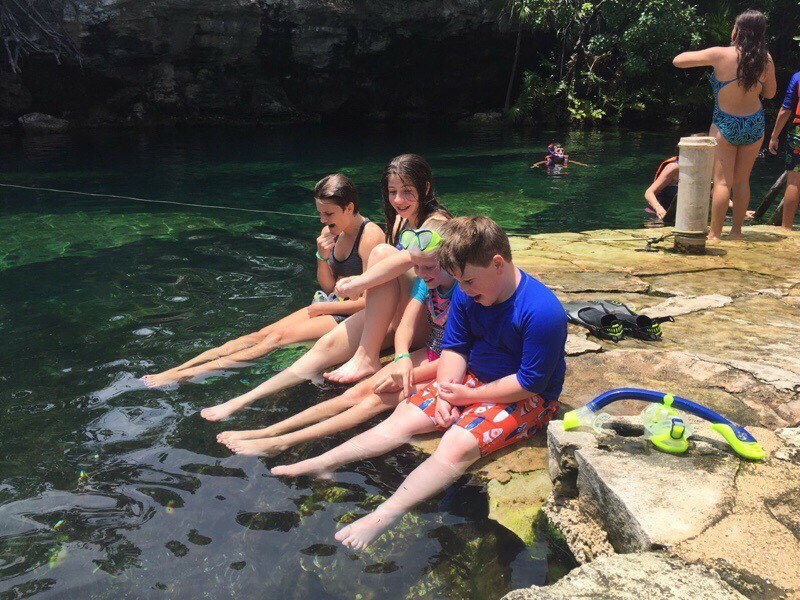 We wrapped up our cenote exploring with a day on the Ruta – a route of cenotes not too far from Cancun. 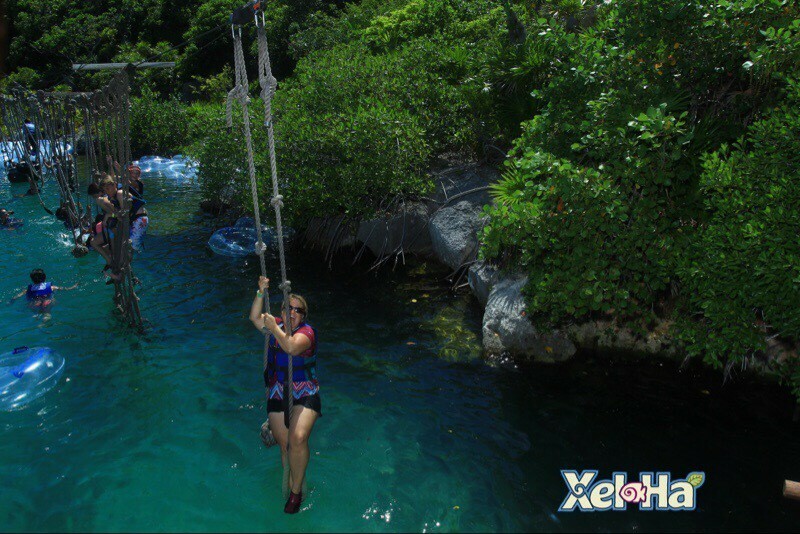 We finally got Danna on a zipline that dropped into the cenote (she did it twice!) and she finally found her warm, calm cenote that became her favorite. But then we moved on! We hit one more that day, with a very high zipline and a little colder water. Emily, Haley and Zoe did the zipline. Jared just hung out in the water and pretty soon we had the ball game going off the little dock. We had some good times sharing our love of cenotes with them. We aren’t sure if the Kings love them as much as we do, but we aren’t sure anyone does. Haley jumping from the cliff at Cristalino. It looks a lot worse from the top. The kids had a fish spa on their feet at Azul. One of the cave cenotes after Chichen Itza. It’s dark because…well..it’s a cave. 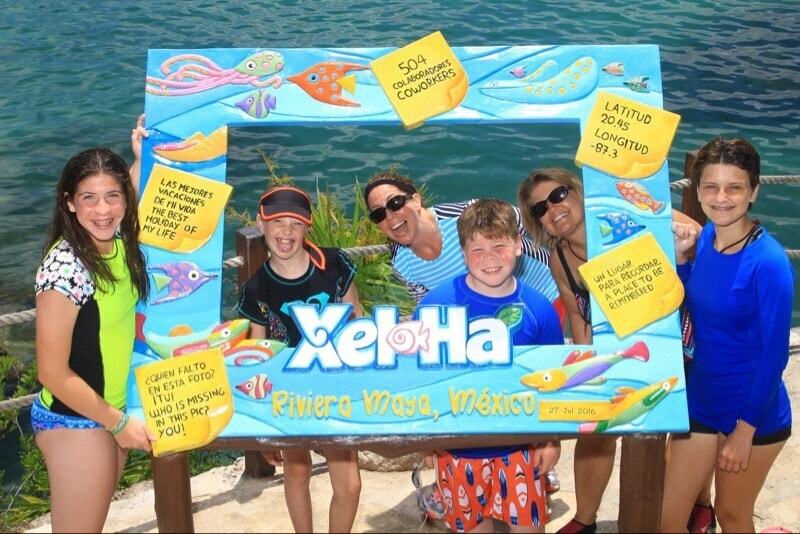 The Moms are crashing the picture party at Xel Ha. 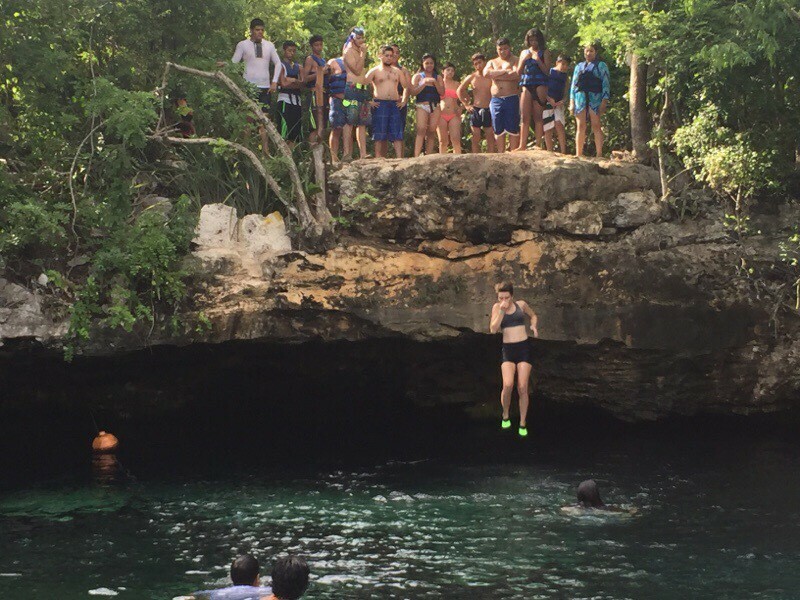 Dan jumping off one of the cliffs at Xel Ha. 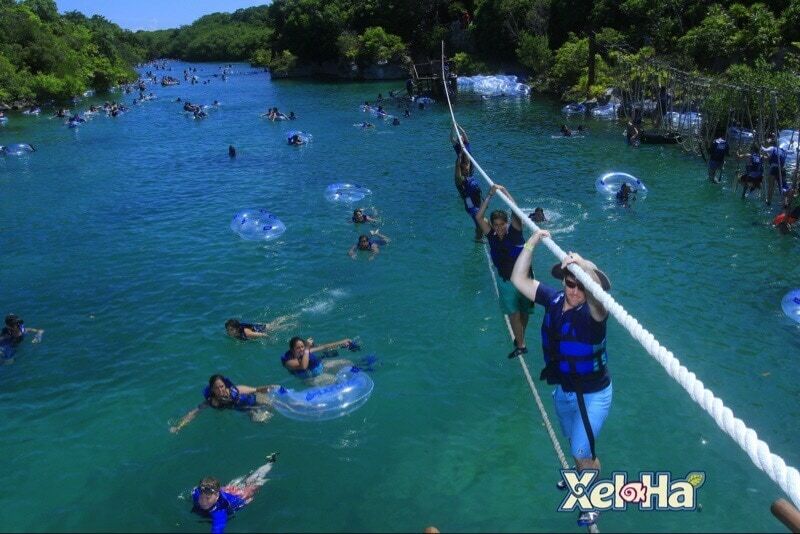 I’m doing the obstacle course at Xel Ha. It only looks high. It’s about a foot off the water. But you can be impressed anyway. Q doing another part of the obstacle course. He got all the way to the end. Kids enjoying the birds. And the all-inclusive photography. You can’t have that busy of a schedule without some down days. Some of them we just stayed in Cancun, checking out a mall or a movie or taking the kids to the indoor trampoline park while Danna recovered from her bad shrimp tacos. Other days we went somewhere to lounge. 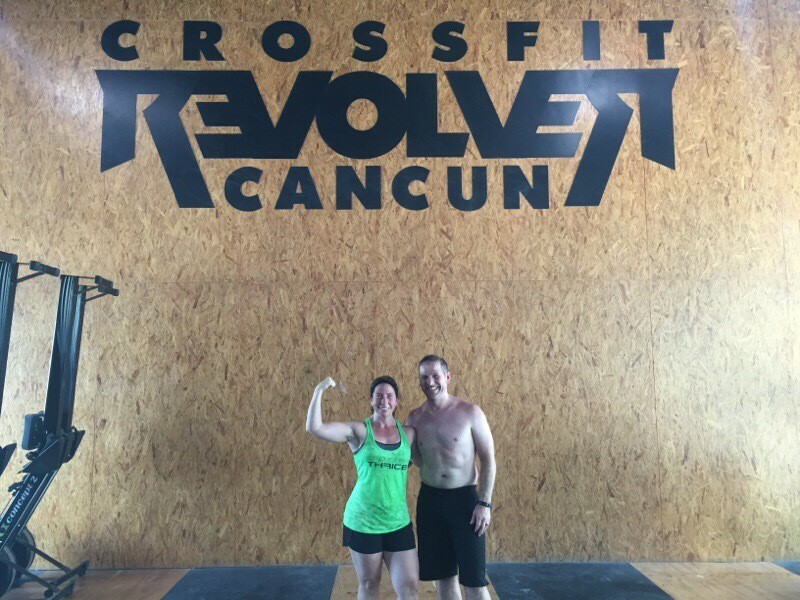 We found a day pass at an all inclusive resort (Dreams Cancun Riviera) for one day. 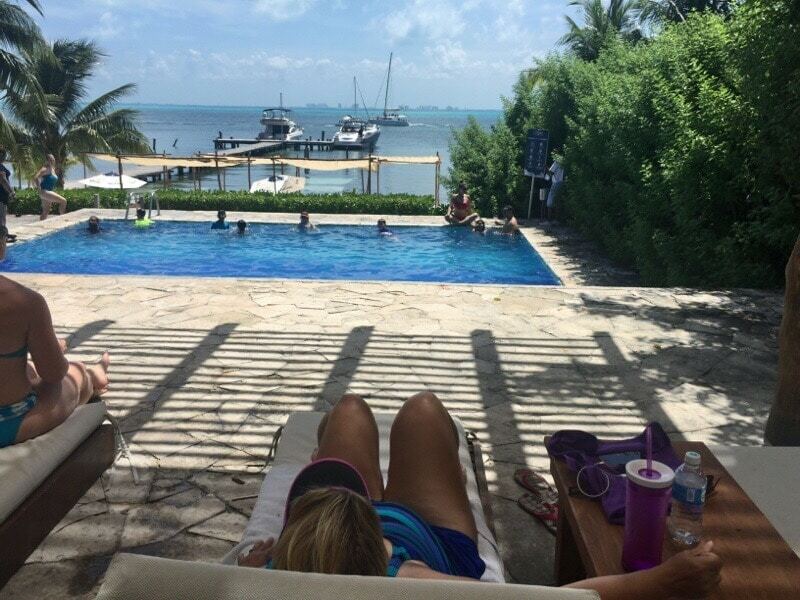 Another day we found Unico Beach Club (highly recommended) in Puerto Morelos and one day we spent a good chunk of time at Zama Yacht & Beach Club (also highly recommended) on Isla Mujeres. We now all have very refined opinions of what makes a good beach chair. One of us should write a book. Dibs! Are you seeing a common theme here yet? Our cenote days had water. Our lounging days had water. Our active days had… you guessed it… water! Pretty much every day involved water of some sort. It’s hot here right now. Really hot. So even if we had non water days, we usually sought out water at some point just to cool off. Unless you “forgot” your swimsuit. Then you just have to watch. We sought out water because of the sun, but unless you were in a cave cenote, you were still in the sun. We tried our hardest to balance out sun days and non sun days but it didn’t always work. 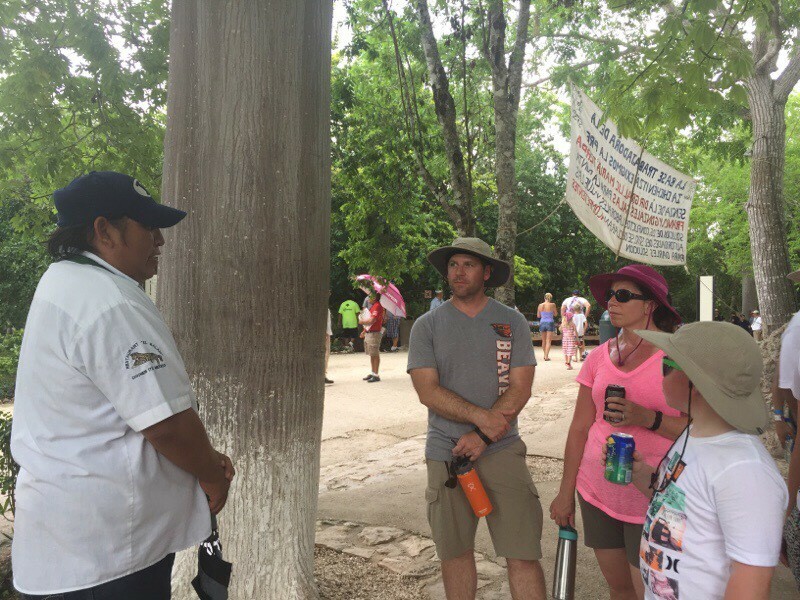 And with the beaches and cenotes around here you are not supposed to wear traditional sunscreen due to the damage it does to the corals and flora and fauna. So there is more than one sunburn in this house. We have all been saved by the coconut oil slathering each night, however. That’s some kind of magic fairy liquid, let me tell you. Danna is checking out the lounge chair. Research, ya’ll. 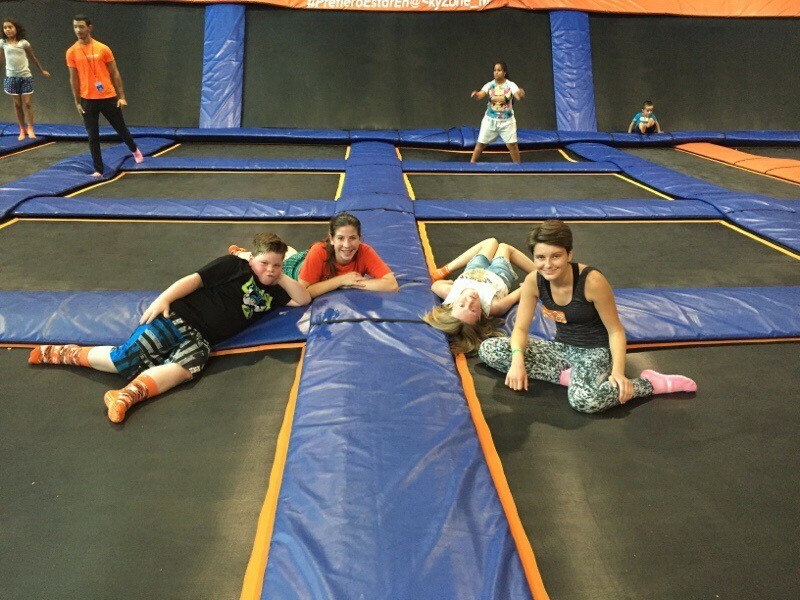 Danna was at home recovering so on this day I took the kids to the indoor trampoline park. Feeling better so they made it to Crossfit on our next down day. Not pictured: Allison. Cause I’m not there. No sign of Dan either. Q is doing a different type of research. Headed to the beach club on Isla Mujeres. 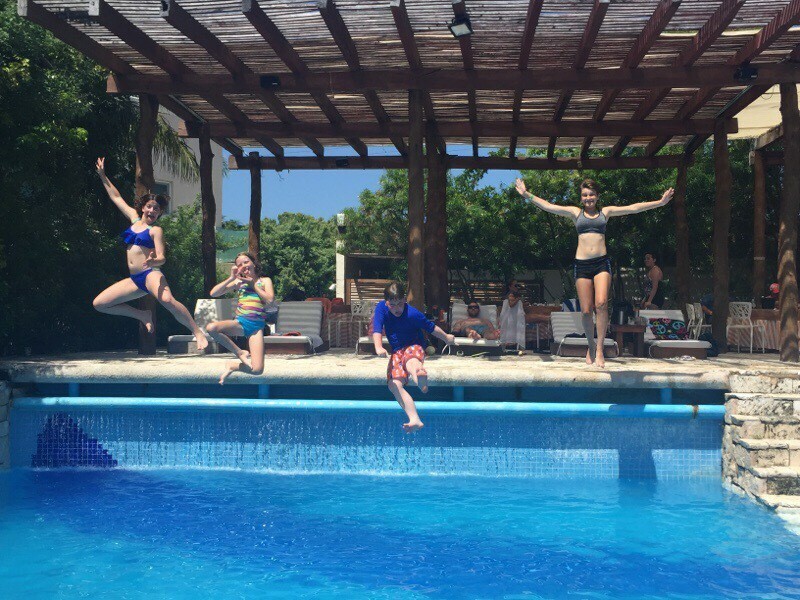 Kids at the beach club on Isla Mujeres. 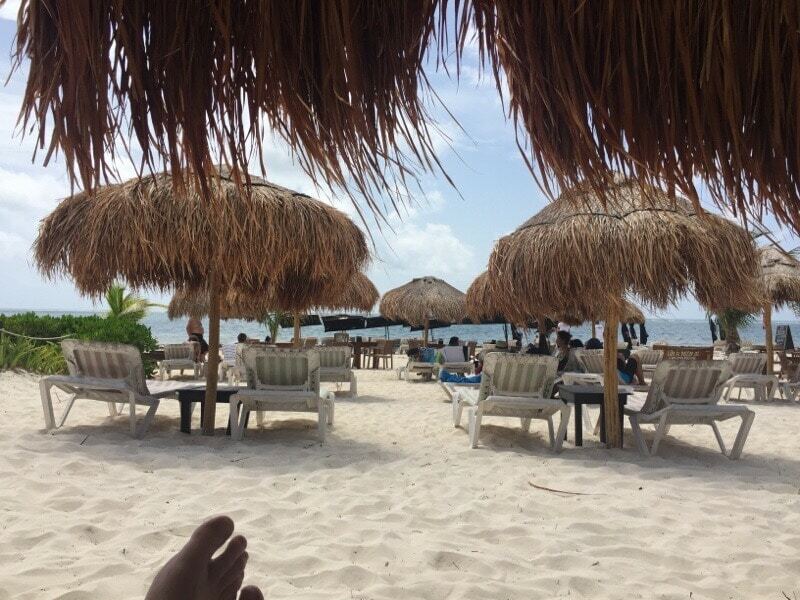 Dan’s view from Unico Beach Club in Puerto Morelos. At Zama on Isla Mujeres. It was shaded but it was still hot. 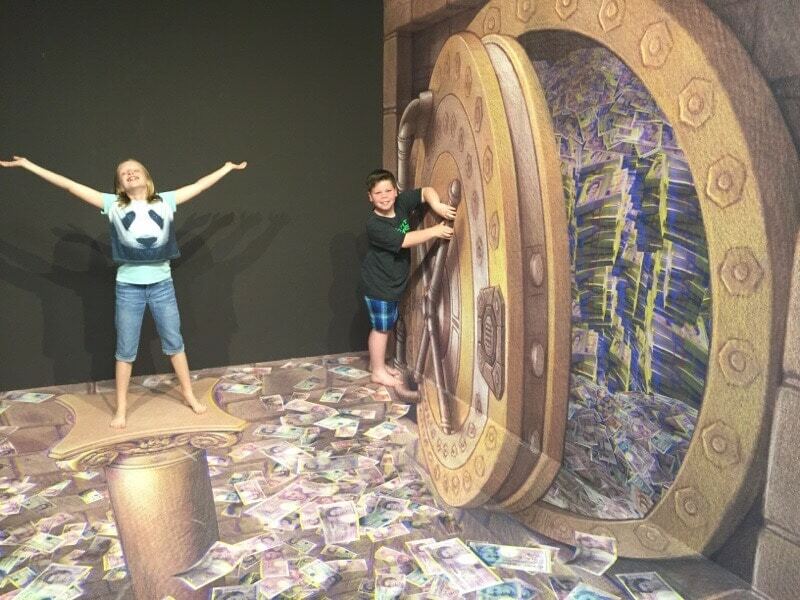 The Kings made it to the 3D museum in Playa del Carmen. They took Zoe, leaving behind a very quiet household in Cancun for a few hours. Es bueno. You can’t come to the Yucatan Peninsula and not experience Chichen Itza. Well, you can but you’d be silly to do that. So of course we put Chichen Itza into the plan. The kids were so excited to experience ancient Mayan Ruins rare Pokemon characters. 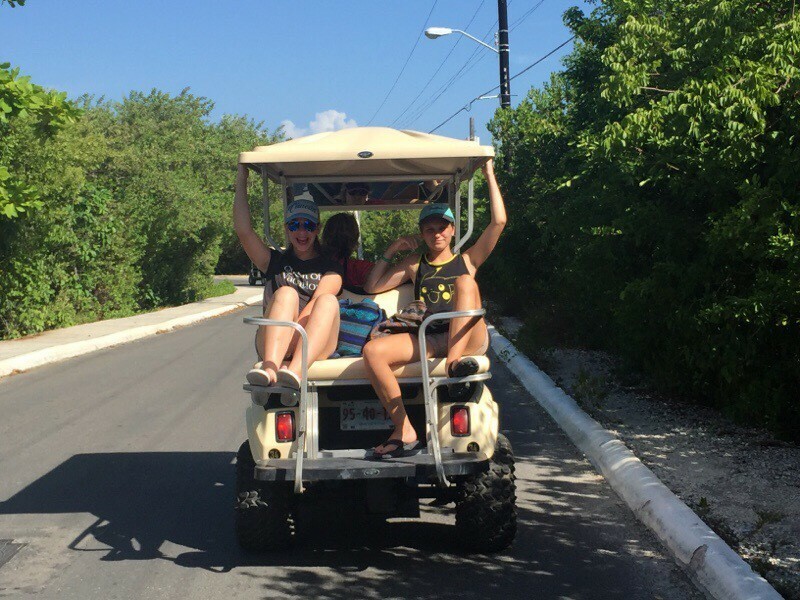 That day we learned 1. pay for the toll road unless you really love speed bumps 2. don’t expect you’ll get home for dinner after driving 2 hours, seeing ruins, going to 2 cenotes and driving home 3. Zoe is the only one who likes traditional Mexican Lime Soup and 4. protein shakes from Costco work as dinner when you don’t like traditional Mexican Lime Soup (or, as Quintin calls it: “chicken water”). 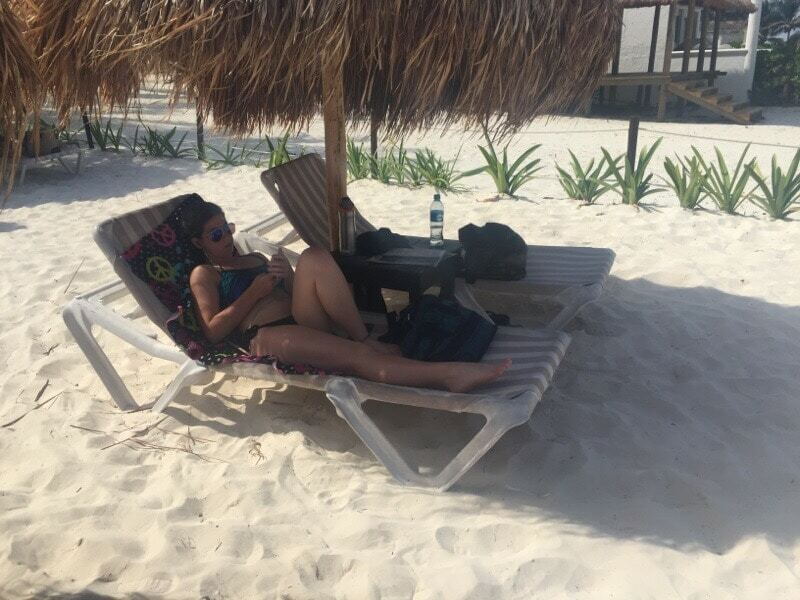 For those of you who might also be planning vacations around Pokemon Go, we found quite a few of them on 5th Avenue in Playa del Carmen and we seemed to hit the motherlode of Pokemons (not PokeMEN, as I have been scolded) on the ferry to Isla Mujeres. One of us should write a book on where to find Pokes in this area. Not it! 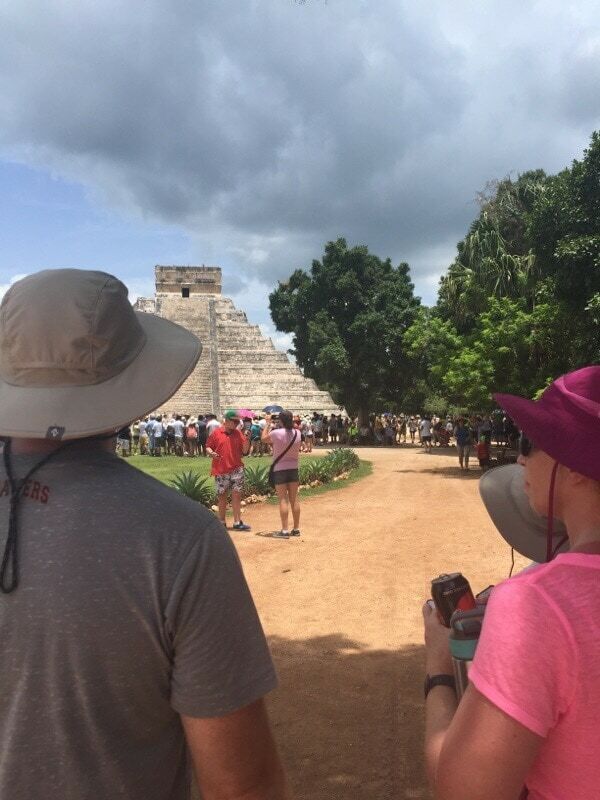 I succumbed to the hat idea at Chichen Itza, which is Mayan for “there shalt be no shade”. Gettin’ schooled by Luis, who came from home specifically to be our tour guide. We’ve used him 3 times now. His last tour was shorter than usual. Prolly because it was hotter than the surface of the sun. The Kings and The Castle. Planning a 2 week trip for 8 people does not happen without effort. It helps that we all know each other so well that we know our hot buttons, what we enjoy doing, and we can easily share our real feelings, although we don’t usually need to because we already know. But every group, no matter how small, needs a Master Planner. I am that person (shocking, I know). But I couldn’t do it alone. If I was to give an acceptance speech when accepting the award for Best Master Planner, I would have to mention my trusty whiteboard. The whiteboard has a prominent place in the living room. 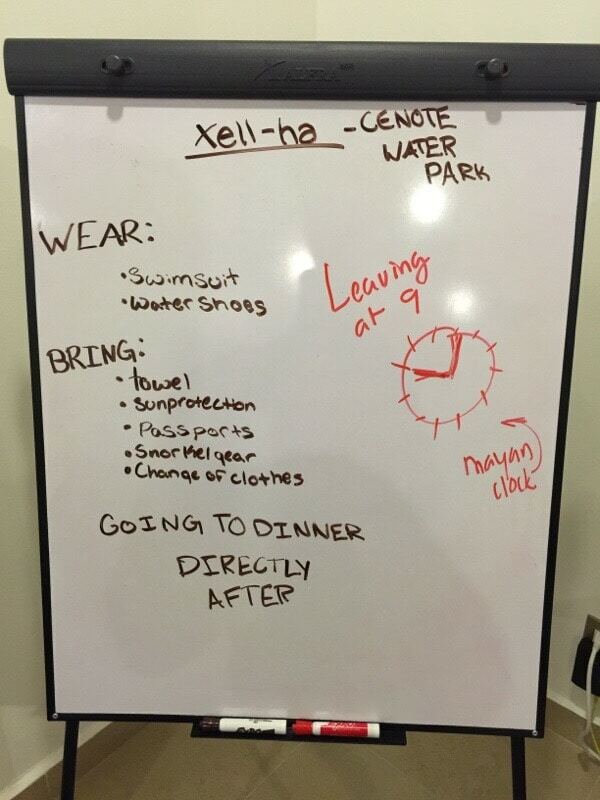 It gets updated each night with the next day’s activities, including what to bring, what to wear, what to expect and when to leave. It saves a lot of talking, nagging and accusatory “Why didn’t you tell me?” arguments. It’s my partner in planning. When we start travelling more and I only get one small suitcase, I will mourn the loss of my whiteboard. One of the busier days, requiring more instruction. Zoe clearly learned from the best. 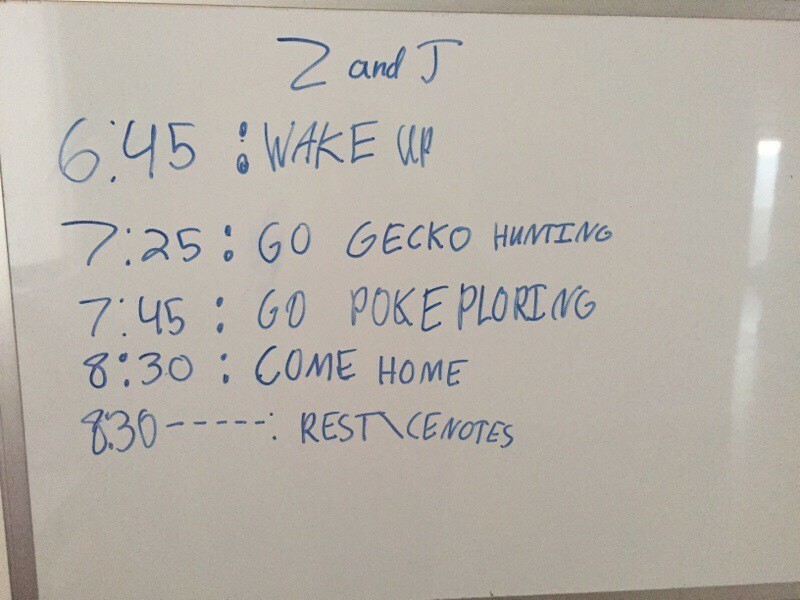 She made this for the morning of day 2 for her and Jared. Unfortunately the wake up time was the ACTUAL wake up time. Ugh! 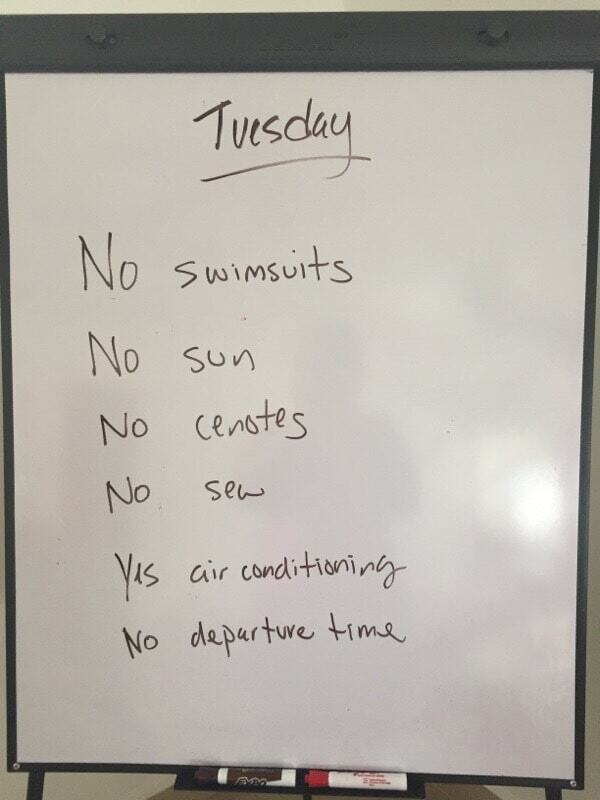 This was the note for our last day. Everyone cheered. Saying goodbye to the Kings was very sad. We aren’t planning to see them for a full year. But Master Planner has already started working on our plan for July 2017. You’ll be shocked to hear it involves… water. This time we won’t make them dig out their passports to visit the Shermans. We are planning another Epic Vacation but this time in Texas, to show them around our favorite artificial cenote: Schlitterbahn. We will be sure to pack the coconut oil. And there shall be no forgetting of swimsuits, Danna. 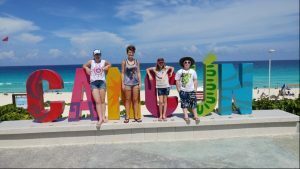 Great tips for the new Cancun-ers! Plus, as always, a great read!